RTS: Vol II No. 4 On Sale Now! This issue’s contributors include: Janet Grace Riehl, Robin Marvel, Barbara Sinor, Ken La Salle Pamela Hobart Carter, Kat Fasano-Nicotera, Jim Kelly, Holli Kenley, Telaina Eriksen, Sam Vaknin, Marjorie McKinnon, Heyward B. Ewart, John Schreiber, Max Wallis, Cheryl Bremer, Michelle Lichtenfels-Robertson, Patricia Wellingham-Jones, Sweta Srivastava Vikram, Stella Riunga, Katrina Wood, Katherine Zimmerman, George W. Doherty, Victor Paul Scerri, David Roberts, Jay S. Levy, Daniel Tomasulo, and Bonnie Spence. Next Next post: UPDATE: Tara & Bella – The Odd Couple of Animal Kingdom! It’s an honor to be invited to write about the secrets to my father’s longevity. He’ll be 95 this November 9th. I’ve created a Second Mile award to honor him. Your magazine keeps developing. Your dedication to hope and healing brings it all together. I read the articlein the October 2010 Magazine and I just want to comment on the article wriitten by Ken LaSalle titles Little Victories. 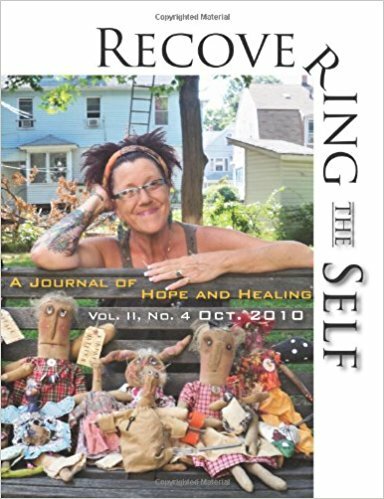 It was the most inspiratioal article I have ever read on self healing. I hope you will continue to have more articles written by him. I could relate completely with what he had to say and reading his article has help me with some of my problems. Thank you Audrey for appreciating Ken’s work! We would certainly welcome more from Ken. I also hope you’d find equally healing and inspiring articles in our coming issues. If you have a specific issue on your mind that you would to be addressed in RTS, please feel free to write to us with your suggestions.